Have you ever had to cook for a large group of people and had no idea what to prepare? Usually I fix the same old stuff every time. Mainly because I know the recipe won't let me down. Well, next time I have a church gathering, or a homeschool dinner to go to, I have help. 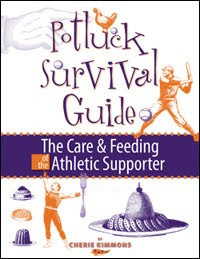 It's called Potluck Survival Guide, the care and feeding of the athletic supporter. 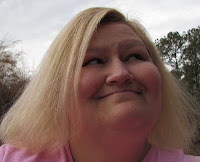 Written by Cherie Kimmons whose children played sports for 20 years. Over time, she learned what dishes were loved and what dishes were hated. These are recipes that work and you won't find too many unusual ingredients. Which is great for me, because I don't have them and don't know how to use them. I love the helpful notes that are included with each recipe. They include such things as how to adapt the recipe for younger kids, things to avoid, and serving suggestions. Another great feature is The Numbers Game where she breaks down how much ingredients are needed for 1, 25, and 50 people. Kimmons also has great ideas for buffets and decorating tips. This book is colorful and illustrated, but doesn't include pictures. I really wish they had pictures of the dishes. Potluck Survival Guide is on sale right now for $18.96 from Five Star Publications. You can buy it here. This book was provided to me by Five Star Publications in association with Mama Bzz in exchange for a review. The 'Congo Brownies' sound interesting, as does the 'Chocolate Wax Cake'. Sounds like a very handy book to have !